captured the attention of the US Congress. More than 130,000 drivers, passengers and pedestrians are injured or killed in US truck wrecks every year. Truck wreck causes require specialized attention. However, the devil is in the details and specific truck wreck causes and statistics related to national and Texas truck wrecks are both disturbing and alarming. One statistic every auto driver should know is that passenger vehicles suffer the most devastating injuries in 98% of two-vehicle trucks wrecks. Unfortunately, serious truck accidents cause injury, pain, suffering and loss of life to thousands of persons every year. And, legitimate cases are usually much more complex than accidents involving two passenger vehicles. Victims of truck wrecks should take the time to have their symptoms diagnosed and their injuries professionally evaluated. 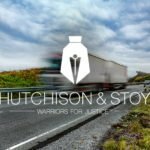 The Fort Worth personal injury law firm of Hutchison & Stoy, PLLC strongly recommends that victims of truck accidents not speak to insurance adjusters without contacting the firm first. Insurance adjusters and insurance companies are not your friends, even if they sound sincere. All parties may have different insurance coverage and different legal representation. The only way to describe a truck accident claim is complex! The does not mean victims are not entitled to swift and appropriate justice. Call 817-820-0100 to arrange a free truck wreck case evaluation from Hutchison & Stoy, PLLC. A multi-year study conducted by FMCSA and the National Highway Traffic Safety Administration offers valuable insight into the causes of truck wrecks on American roads and ensuing liability. This list reflects contributing factors in two-vehicle crashes involving one truck and one passenger vehicle as well as the percentage of accidents connected to the cause. Drug use, legal or illicit, is a common problem because these drugs/medications affect the driver’s ability/inability to respond to real-time events. Other contributing elements can include shifting cargo, brake failure, weather, improperly maintained roads and alcohol use. FMCSA says driver conduct is far and away the leading cause of truck wrecks. Truck drivers are under pressure to move from Point A to Point B and as such are inclined to speed much more often than drivers of passenger vehicles. The joint study found that truck drivers use poor judgment in difficult weather because they are pressed to cover ground. At the same time, brake failure was discovered in about 25% of investigated truck accidents. 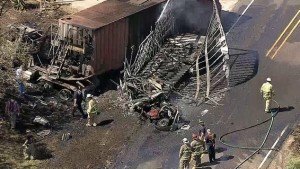 Truck wrecks are serious, complicated and complex. 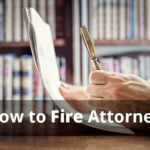 Be sure you have proven legal representation. 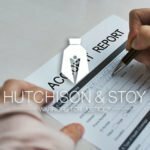 The personal injury firm of Hutchison & Stoy, PLLC stands ready to help. Call 817-820-0100 to schedule a free case evaluation or fill out our case free case evaluation form online.